This Heat-Sensitive Paper works great in laser printers. 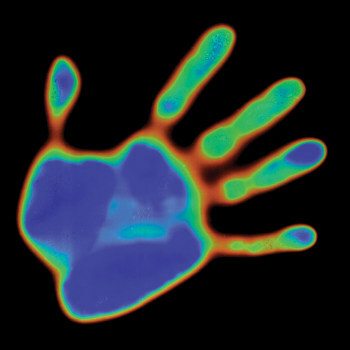 Our thermochromic paper changes color within the temperature range of 31oC (88oF) to 37oC (98oF). As the paper is held in your warm hands, the color will begin to change or disappear. As it cools, it changes back. The cycle repeats itself indefinitely. 8.5" x 11". This 24 lb. paper will accept most types of printing including photocopier, laser, ink jet, pen, pencil, etc. The paper can be printed on both sides. Great for bookmarks, secret messages, and papers your students will never lose. Note: The Glossy Heat Sensitive Paper works best in Laser Printers and most standard copying machines. It may not feed properly in Ink Jet Printers. We have found the heat sensitive paper to be a great addition to our outreach program about color changing substances; how to make make the substance change color and chemically, what does the color change indicate. Each individual is given a plastic bag containing the four different colored sheets of heat sensitive paper that were cut into approximately 4 x 4 inch squares. After removing the sheets from the bag, each individual "plays" with the sheets. Some notice they change colors when held in their hands, others do not. They are told to breath on each sheet, which all change colors when they do (warmth of their breath). Asked what their exhaled breath is composed of, with guidance, they come to consider water, carbon dioxide, and warmth of their breath as possible causes for the change. Using a hair dryer on low setting, they see that the warm air causes the color change. They also see that when the paper cools it changes back to the original color. The different colors indicates a different substance is present in each of the four papers. The term "thermochrome" is then introduced. I have found that this is a great lead in to other heat sensitive materials. The audience leaves with a better understanding of these materials, although we do not go into the chemical structures and how the structures change when heated or cooled. How to crate secret message? Seeing this on paper seems surreal compared to the heat color changing pencil. Exactly as presented. Color changes with heat of your hands changes the color within a second or two, Very quick delivery very pleased. My hands aren't warm enough to change the color (without pre-heating them), but making shadows with a heat lamp works well. A bit of a let down it's not two-sided as I had thought when noted the paper can be printed on both sides. It's only heat sensitive and colored on one side and the color isn't quite solid. It's more accurately thermochromic ink printed on white paper than actual thermochromic paper itself. I bought these for a projects that won't work using this paper anymore, but It's still cool anyway. Very accurate and fast for shipping, also I received catalog book. Love the heat sensitive paper. One of my students used it to calculate the wavelength of microwaves in the oven! (only 4 seconds). We used it over and over with different frequency ovens. I used these papers to further our science class experiments on thermodynamics. I did not print on them, so I don't have witness to that, but the ink does change as promised with touch. We had more dramatic response when accompanied with more extreme temps: warm the hands on the heat packs or cool them on a cold pack to really see the heat sensitive inks respond! We used this heat sensitive paper to locate heat tapes in our bathroom floor before drilling holes for a new shower door - we had to let the tape cool down overnight, but when turned on, this paper clearly indicated where the tapes were. Not as heat sensitive as I thought it would be. Probably works better in a place that is not as hot as Las Vegas in the summer. Bookmarks made out of the heat-sensitive paper are a popular give-away item at our elementary school's family science night. 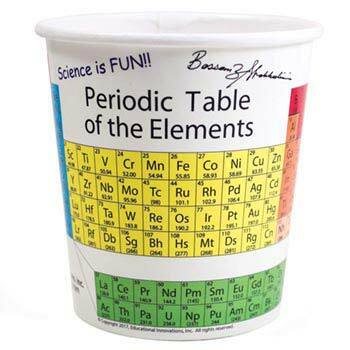 This product was ordered for use in our vacation Bible school starting today! The package arrived quickly and in good order. I did not personally use the product but am sure it works as advertised and the children will enjoy using it. This was our first order from you and YOU DID GOOD! 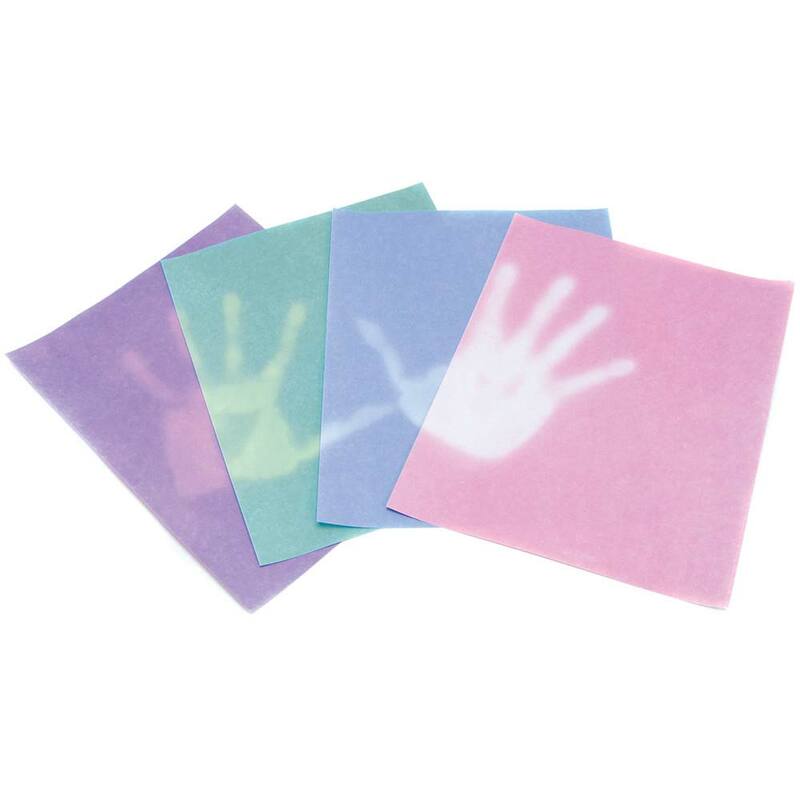 The package of heat-sensitive paper was a lot of fun. For best results after printing on it, we'd put the paper in the refrigerator for just a minute to really see a color contrast. Students can use Heat Sensitive Paper to plan and conduct an investigation to describe and classify different kinds of materials by their observable properties. Students can use Heat Sensitive Paper to collect data to construct an argument with evidence that some changes caused by heating or cooling can be reversed and some cannot. Students can use Heat Sensitive Paper to make observations to provide evidence that energy can be transferred from place to place by heat currents. Students can use Heat Sensitive Paper to apply scientific principles to design, construct, and test a device that either minimizes or maximizes thermal energy transfer. Students can use Heat Sensitive Paper for an investigation to determine the relationships among the energy transferred, the type of matter, the mass, and the change in the average kinetic energy of the particles as measured by the temperature of the sample. The temperature is a measure of the average kinetic energy of particles of matter. 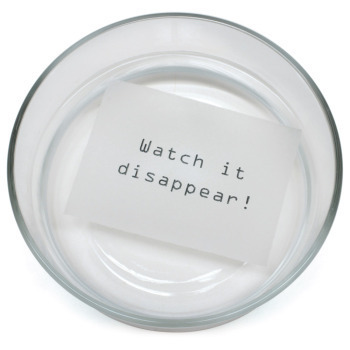 The Heat Sensitive Paper create a thermal print when acted on by an object, such as your hand. 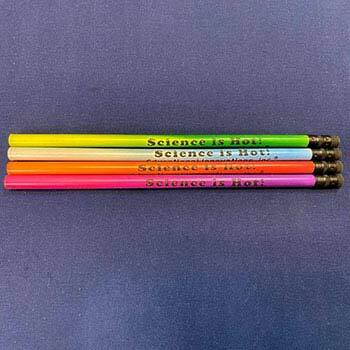 Each color represents a different temperature. Students can use Heat Sensitive Paper to plan and conduct an investigation to provide evidence that the transfer of thermal energy when two components of different temperature are combined within a closed system results in a more uniform energy distribution among the components in the system (Second Law of Thermodynamics). Students can place their hands on the Heat Sensitive Paper to observe the transfer of heat energy to the surface of the temperature sensitive material. Each color represents a different temperature. Each color represents a different temperature as students test a device that either minimizes or maximizes thermal energy transfer. Students can use the Heat Sensitive Paper for an investigation to determine the relationships among the energy transferred by different objects.